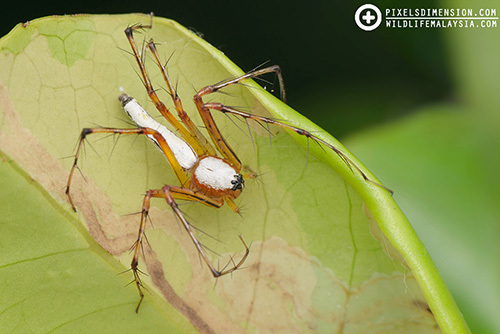 Spiders of the family Pholcidae are often called Daddy-Long-Legged Spiders because they have a tiny body but very long legs. These spiders are not to be mistaken with harvestmen which are not spiders. Most common pholcids are found in corners of houses, where they build messy, 3-dimensional cobwebs. #1. A mother Round-Bodied House Daddy-Long-Leg Spider (Physocyclus globusus). 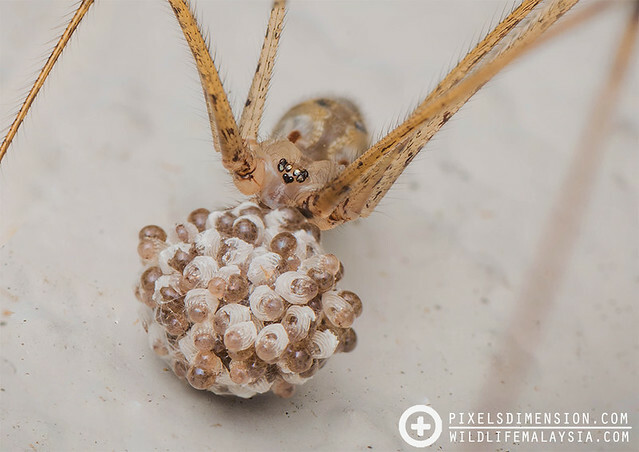 Female pholcids are known to care for their young by using thread to tie eggs together and carry them using their chelicerae, until the spiderlings hatch. #2. A female, long-bodied Jungle Pholcid (Calapnita cf. deelemanae). 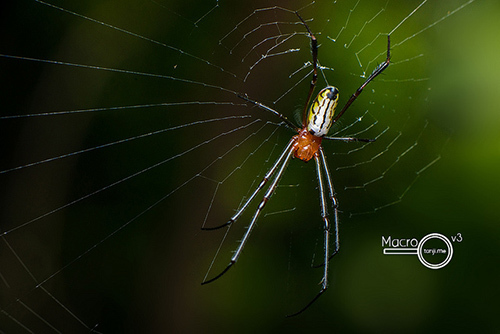 The “daddy-long-legged spiders” that dwell in the jungle are very much different, and a lot colourful than the ones that we usually have at home. This particular Pholcid has an abdomen that is many times longer than its cephalothorax. 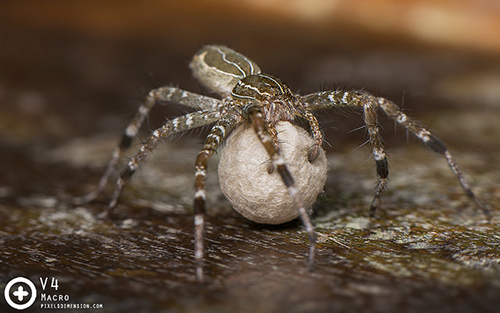 Like other pholcids, the female is known to protect the egg sacs until they hatch. 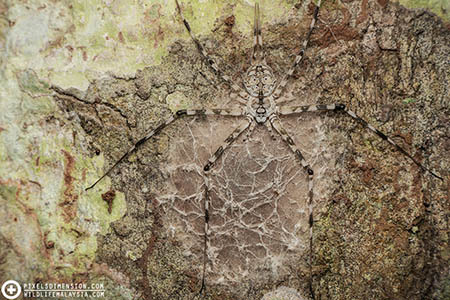 The egg sacs of this particular spider are unique and arranged in a linear fashion. #3. 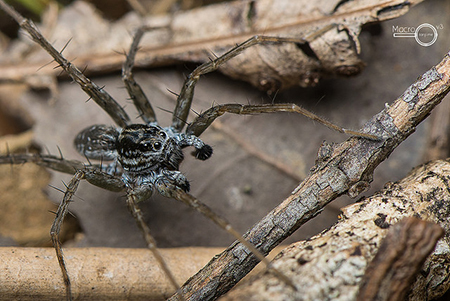 Long Bodied Jungle Pholcid (Calapnita deelemanae) with Salticid prey. Nature always has its ways. How does a tiny and seemingly fragile pholcid spider end up preying on a much larger and agile jumping spider? This leaf-dwelling pholcid is often found beneath foliages and has 6 eyes (instead of the usual 8 in spiders).